Remember how I told you that the people in the booths at BEA seemed much friendlier this year? At least compared to when I was there two years ago that is. Well, this is a book that I saw sitting in a publisher's booth and asked if I could have a copy of, and they were nice enough to let me have it! The publisher was Running Press Teens, a part of the Perseus Books Group. 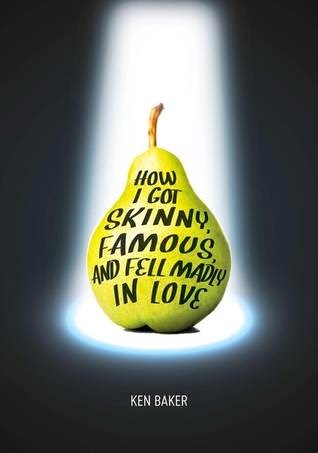 This book intrigued me because it was about a girl who was overweight, and ended up going on a reality tv show to lose weight. She had to lose 50 pounds in 50 days. Now, she wasn't unhappy, not completely, with how she was. She lived in a family of skinny people. Her dad was a former athlete turned motivational speaker. Her sister was an underwear model. And her mother was a former Laker Girl. So she really didn't fit in. But her boyfriend, who was large himself, over 300 pounds, loved her, and she loved him. But one day she found that her family was behind on their mortgage payments, and she knew that she had to agree to the show so they could win the million dollars. As the show goes on, she does learn good habits, but things keep setting her back. Finding out her family may not actually believe in her, or at least some of her family. The stress of eating so much less than she was used to could lead to sneaking food. The fame, going to the movies she sees that she has fans. And then maybe learning things about her family and boyfriend that are shocking, whether they are true or not. And finally, even picking up some bad weight loss habits in order to try to win the show when things seemed to get behind. This book is really a good look into what goes on in the mind of overweight girls. As someone who has been in that state many times in my life, including at the present time, I definitely identified with things that she may have said or done. I really liked how the show had her do video posts as the show was going on. Her posts were very insightful. I liked how she would realize the things that she did weren't always healthy, either way. My one complaint is the ending. While I think what happens is a good way to end it, I feel the book did it very abruptly, and I was left wanting to know more details about how all of it came out, and what happened to everyone. That's just me. Overall it was a really good read, and I will be donating my free copy to the high school library where I work. It was a quick read, and definitely interesting. Hope you get it soon. Thanks for stopping by!